I swear I thought falsifiability was a good idea. A theory is said not to be scientific unless it is falsifiable. This is an understandable definition, but as something philosophically useful it fails because most theories scientists hold are not falsifiable. The call of “Not falsifiable!” retains its appeal, however, because those who champion flawed theories are annoying in the same way as a spokeswoman from a political party who won’t admit to an obvious error, and it’s hoped that the call is a knockout, shut-up-and-go-away argument. Of course, it never is. A theory is a set of propositions which are taken or assumed true. Presumably these propositions are not self-contradictory, though in complex theories, who can say? It is not necessary that any one person know each of the propositions, or even that the set is closed (as we’ll see). A complex theory contains more propositions than a simple one. There is no need to be more precise than this except to stress that a theory is its propositions. Change any one of them changes the theory into a new theory. With that we are done, really. But to expand. Theories don’t make predictions. We do. This is because sets of propositions don’t do anything; they’re just propositions. Predictions are propositions themselves, chosen because they are of interest to us and constructed conditional (derived, deduced, inferred, etc.) on a theory. We hear things like, “Given my theory of the weather, tomorrow’s high will be 70oF.” This is usually shortened to “Tomorrow’s high will be 70oF” which the conditioning left implicit. Now if the high temperature tomorrow is anything but 70oF, the theory is falsified. The theory said some thing would occur: it did not: the theory is false. End of story. But nobody (except a pedant) understands the phrase “will be 70oF” to mean “will be precisely, exactly, to the nth decimal place 70oF.” Words mean something. Our task is to translate the prediction into the vernacular. That means adding some fuzz around 70oF; or, in other words, by taking the phrase to mean “There is a good (but not perfect) chance the high will be 70oF”. And, of course, “good (but not perfect) chance” puts us on probabilistic grounds. In this case, the theory said something might happen. If it didn’t, the theory is not falsified. How can it be? One of the things the theory said could happen did happen. This cuts both ways. If 70oF obtains, the theory is not completely validated, either. That is because the theory also said it could have been 69oF or 71oF, albeit with a smaller chance, and these did not occur. Whether the theory is useful depends on the decisions we make given the prediction; which is to say, on how we have (or would have) acted on the predictions as they stand (or stood). This is an entirely different topic, the gist of which is that a theory useful to one man may be useless to another. For example, climate models have been extraordinarily useful to Al Gore, but they haven’t treated not-yet-tenured critics awfully well. You have it by now: if the predictions derived from a theory are probabilistic then the theory can never be falsified. This is so even if the predictions have very, very small probabilities. If the prediction (given the theory) is that X will only happen with probability ε (for those less mathematically inclined, ε is as small as you like but always > 0);, and X happens, then the theory is not falsified. Period. Practically false is (as I like to say) logically equivalent to practically a virgin. The sole way a theory can be falsified is if it states, in no uncertain terms, boldly and forthrightly, that X cannot happen, that the probability of X is 0, exactly 0. Then if X happens, à la mort, else not. Falsified is akin to mathematical proof: it is undeniable. Yet, as we shall see, it is still denied. All theories are therefore trivially falsifiable (in logic). For example, we can derive from most any theory the prediction that the probability X = “The existence of a twelve-and-a-half footed half-duck half-snake that speaks (what else?) French on Uranus” is 0. But since we have to travel to that frigid locale in order to verify X, we will never learn whether the theory is falsified in fact because, of course, since X is contingent it might (conditioned merely on the premises which identify its contingency) be true. Therefore, we are interested in falsifiability in practice. There are four main situations in which the call of “Not falsifiable!” is heard. The first is where the theory isn’t the theory, where a kind of three-card Monte trick has been played. The second is when there really is no theory; or, rather, there is a theory but it is infinitely malleable. The third is when the theory is protected from reality by erecting a barrier of contempt for outsiders in front of it. The fourth is when the theory is true but not loved or desired. These four are not mutually exclusive, but in the examples to come, for simplicity, I’ll treat them that way. Update See the discussion below. I do not claim that no theory can be falsified. Some can. All continuous statistical models of discrete reality are falsified by definition. But many theories cannot be falsified. Update Welcome, Curryites! A climate model example will appear in Part II, Thursday. So, if a scientific theory doesn’t have to be falsifiable how do you distinguish it from say paranormal theories? Really? It can’t be falsified by with a tacit implication? (1) By its before-the-fact usefulness and how well those theories integrate (as explanations) into other theories. Paranormal theories can be annoying (I speak as one who wrote a book on the evidence from these things), but none have been falsified. But then very, vanishingly few scientific theories ever are. We just replace poorer with better ones. (2) Hmm. We’ll see. Give me an example of a tacit implication you’re thinking of. (2)Don’t have an example off the top of my head but seems to me a theory could imply something would happen under certain circumstances without it being explicitly stated. Seems to me the theory would need some explaining. (1) If it can’t be falsified then it can’t be tested which also means it is of no consequence because it will never affect anything (if it did, it would be testable) except an increase in someone’s CV. Theory: there are ghosts outside of this universe. Effect: who cares? In what way does it matter? (1) If it can’t be falsified it can certainly be tested. Think of the MOS (model output statistics) theory of high temperature forecasts. Technically gives a probability to every possible temperature (absolute zero on up). No possibility of falsification, not ever. Yet we can still tell a good from a bad theory (i.e. model). (2) Well, the job there is to interpret just what the prognostication proposition is. Might not be quantifiable. Recall not all (even most) probabilities are not quantifiable. No, the only way to falsify is if a theory says X cannot happen matched with the observation X happened. But if it wasn’t testable/falsifiable what would you use as the basis for how well it fits with other theories? Unless you mean somehow more elegant, then doesn’t finding something better mean you can see reasons why the old theory is flawed — effectively falsifying it? Excellent question. Briefly, think of theories A and B, say physical theories of radiative transfer in different environments. A and B will likely share some of the same propositions and that’s some clue of the goodness of B (if we already believed A to be good) and vice versa. But also A and B will adjudge the probabilities of many X to be similar or the same (since they’re different theories, it may be A will be mute on some X B speaks of and vice versa). We would begin to suspect one or the other (or both) with these probabilities began diverging. Also, some of the propositions in any theory are known to be true (in that global sense of ultimate anchoring to indubitable axioms). That is another clue. And some propositions are suspected to be true (given other solid evidence). Well, I maintain that if something is not falsifiable then testing it yields no answer. You seem to be talking about testing some aspect of a theory (and obviously non-consequential to it). That doesn’t make the theory any better and testing that aspect isn’t really testing the theory. Suppose in my above theory I said instead: There are ghosts outside of this universe and A is true . Regardless of the truth of A the other part is worthless if testing it is forever hopeless. Unless, of course, A is required if the other part is true. Then falsifying A, falsifies the theory in its entirety making the theory testable and falsifiable. That is the clearest discussion of the implications of ‘falsifiable’ that I have yet read from you. Excellent. And DAV seizes on a very important point. Matt’s demonstration shows that a great deal of scientific argumentation is not, and cannot be *logically* compelling — we are not *compelled* to think it true. But then what are we left with, as DAV rightly worries? So, just pick different Evidence E, and ‘more likely’ becomes ‘unlikely’? New Evidence E2, and the same thing? *Suppressed* Evidence E3? And that’s if we are good logical probabilists; other alternatives are far worse. Perhaps it is Matt’s ultimate epistemological project to remind us that we may be far less certain of what ‘knowledge’ and ‘knowing’ consist of in this vale of tears, let alone of what we ‘know’, than we think. I can wear my shorts and izod with sandals to work and not be too cold. If it turns out the high is 65F or 75F, I am still safe. Except I am probably not safe, because our bending host will have his sniping pen out ready to write me up for extreme offense against men’s assemblage. Will my ensemble though handle the precipitation? 75% chance of sun. Hurray. 25% chance of not sun. Hurray again, my clothes will still keep me from death. Herein is the bigger dissonance. I can survive (and so can the plants and animals that adorn my plate) the 10F difference. Our beloved scientists believe that 0.3C will bring the earth into fiery relief. Well some of them seem to. Others recognize the uncertainties involved. Talking about gross uncertainties will always be trumped by GLOBAL DOOM! What is more important? Worrying about some small fraction of a degree fahrenheit or the wrath of the great Briggs fashion sense? Schick and Vaughn (How to Think about Weird Things) also question Popper’s falsifiability criterion. Or am I misunderstanding, again? Popper knew that it is never possible to prove conclusively that an empirical scientific theory is false â€“ all falsifications are tentative (see for example Popper, K., Die beiden Grundprobleme der Erkenntnistheorie, â€“ written 1930-33). Empirical sentences can be logically falsifiable but they can never be demonstrably (or conclusively) falsifiable. Falsifiability in the former sense is a term which declares that there is a logical relation between the theory and the class of basic statements. It sets the necessary condition for a theory to be scientific. The uncertainty in many (or most) scientific propositions introduces a further problem. The problem of introducing a Falsifying Rule for Probability Statements (F.R.P.S.). This problem is however mostly practical and not so much logical and it requires a methodological decision. Einstein used his Theory of Relativity to make predictions about observed oddities in the orbit of Mercury. Later, when more detailed observations matched Einstein’s predictions the theory gained support. Had those observations not agreed with the his predictions there would be a lot fewer posters of ‘mad scientist’ Einstein on walls. When a Pharma company has a pet theory about whether a new drug works or not, if it fails the clinical trials it is toast, time for a new theory. We test things, if the predicted results don’t actually appear we move on to another theory. Unless politics are involved. There is of course no useful theory of politics. No, sir. It is not my theory that no theory can be falsified. Some can. But many cannot. (I will add this above.) Here’s an example of a falsified theory: ordinary linear regression. Any regression predicts the probability for any singular X of 0. Yet we (of course) see Xs all the time. Take the MOS with regression: it would predict the probability of 70 to be 0; it would predict the probability of any temperature to be 0. All continuous statistical models are falsified in this way (when meeting a discrete world). Actually, this is backwards. Popper insisted that it was never possible that any scientific theory is true, but that any could be falsified. See any of the early books by David Stove who goes into this in great detail. I’ll take a look at the link, thanks. But I see from “Who is W.M.B?” that you have. So you presumably know that Bayes’ is the way to update the probability of a theory based on evidence. If the data are unlikely under the theory (compared to other theories under test) then its posterior probability goes down. Simples. That is falsifiability but with degrees of certainty. Basing an argument about scientific inference on binary truth values is just a waste of time. Anyone interested the subject should read Jaynes: Probability theory, the logic of science. If they have not already done so. My dear Gareth, thank you for the pointer to Bayes’s theorem. I assure you I had no idea about this astonishing device before your arrival. And just who is this Jaynes of whom you speak? A girl band? Listen, buckoo. I have given the criterion for proving—as in proving—whether a theory is falsified. There is no probability about being false except 0. You cannot say that because a theory has a low probability (however that probability is arrive at) is therefore “falsified with a degree of certainty.” Tosh. I never can understand the resistance to this logical definition of falsifiable. I had an (indirect) run-in with a well known internet statistician (in a sociology group) and I couldn’t make him see it either. How is it that people who are well familiar with mathematical proof and logical refutation see their analytical ability flee when it comes to discussing whether a theory has been refuted, i.e. falsified? It’s a mystery. Briggs see Popper’s book “Realism and the Aim of Science”. There (see page xxii – introduction) he distinguishes two meanings of the expressions “falsifiable” and “falsifiability”: (1) “Falsifiable” as a logical-technical term. (2) “Falsifiable” as demonstrative term. He stresses that a theory which is falsifiable (and hence satisfies his demarcation criterion of science) in the first sense is never falsifiable in the second sense. Okay, I read it (emphasis original). Although the first sense refers to the logical possibility of a falsification in principle, the second sense refers to a conclusive practical experimental proof of falsity. But anything like conclusive proof to settle an empirical question does not exist. This is false (as is much of what Popper has to say about falsification): I showed how an empirical question (a theory) can be, in fact, falsified. And I do not understand at all his earlier distinction: if it is logically possible that a theory can be falsified, it doesn’t follow that it can be in practice (the theory may be entirely metaphysical). But the converse is true: if it is falsifiable in practice, or has been falsified, it obviously is logically possible it is falsifiable. Now your turn. One of Stove’s articles is on-line, “Karl Popper & the Jazz Age.” I promise you will like it. Interesting article. I like to assess the strength of a theory. First by the nature of it’s propositions, second by the opportunities to test it and third by the observations and experiments regarding the propositions. In science, I find the strongest statement is made when a theory with a deterministic proposition is falsified. For example, “There are no black swans”. When a black swan is observed (and confirmed), this theory can be discarded never to be studied again. In science this is good, a defined dead end. At the opposite end, the weakest theories are ones where the probability of the propositions get into the statistical insignificance. For example, “If I flip this coin, it will come up heads”. That really has no use for anybody. Another example of a weak theory is the one you proposed about the duck on Uranus. It can’t reasonably be measured and it’s not visibly useful. You usually talk about AGW so if we apply all of this to it, how does it fit in? Well, there’s not much that I’ve found in the propositions that are falsifiable and because of your article, it now seems obvious to me since climate is a statistical study of weather-related phenomenon. For good experimentation, we would need that elusive second Earth. The only thing that is going to knock climate science down (i.e. high climate sensitivity) is going to be a long period of non-warming. Well, at least that would knock it off the political radar for a while. I just thought of an analog to my own work which involves information systems security. I can state that a system or network is secure. This by no means states 100% secure as that is impossible unless you power it off. So one has to ask “how secure is it”. And thus, that is my job, to subjectively answer that question from an expert point of view. So when I say a network is secure, I mean I have analyzed and tested it and it has all reasonable mechanisms to protect it given what needs protection. Does, that mean it will never be breached? No. But it means I have verified that probability is very low. If you want it lower, you’ll need to spend more money. And there comes a point where you have spend more to protect something than what you are protecting is worth. Sorry, that might have been a bit of an OT ramble. Popper actually claims that no proposition can be practically (and conclusively) falsified. That is because hidden implicit auxiliary hypotheses can at any point be expressed explicitly (or introduced) and because evidence itself is uncertain (as is classification). Hence the converse is not true since (Popper claims) practically falsifiable theories do not exist. Now I think you haven’t showed how an empirical question can be, in fact, falsified. First statement X is existential. And existential statements (either deterministic or stochastic) are neither logically nor practically falsifiable. Second some (such as Von Mises – see his book “Probability Statistics and Truth”) could claim that zero probability does not imply logical impossibility (but the opposite is surely true). Some of Popper’s statements do surely appear strange on first sight. However he does (quite frequently at least) give some good support to these ideas (see for example his first chapter on his aforementioned book). Of course I disagree with some of these – for example science can definitely be inductive (example: the discovery of penicillin by Flemming) – but don’t consider his philosophy entirely bizarre. 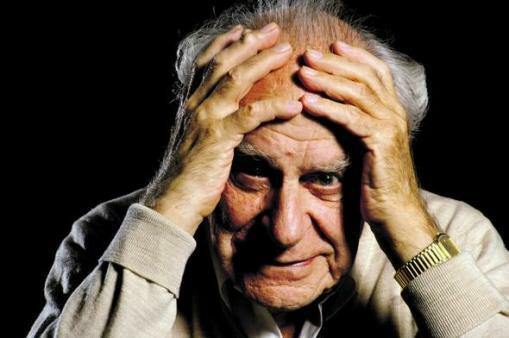 Popper was an anti-bayesian – he didn’t believe that probabilities can be associated with empirical statements. Does the trout falsify the proposition called “the milk is not watered down”? Strictly, no … but it is extremely strong evidence that the proposition is false. What I’m trying to say is that although you are correct that we cannot strictly falsify probabilistic statements, as the example with the trout shows, we still use the “pseudo-falsifiability” or whatever you might want to call it in our daily lives all the time. Suppose we lined up all of the boys in the high school math class on one side of the room, and all the girls on the other. Then, every time the teacher rang the bell they moved half the distance towards the middle of the room. But unless and until you are willing to pick up the dice and bet with them as though they were an honest unweighted pair, I’m gonna say that you are certainly acting like the proposition is falsified … and that at the end of the day, that’s close enough for all practical purposes, including science. Like I said earlier, people seem to view this particular philosophical discussion differently than others. If I said I had a mathematical theorem that was “falsified for all practical purposes, therefore it’s false” I’d be laughed out of every Hall of Mathematics in the world. I’d lose my honorary Logician’s Badge. I’d have to start hanging out with sociologists or climatologists. Tomorrow I do the global warming example. What fun! The resistance is that it is useless. You can define things how you like. But you have taken a definition of falsifiable according to which no theory is falsifiable and then you conclude that no theory is falsifiable. Whoopee. Clearly that is not how Popper interpreted the term. And Guillaume, it does not really matter whether Popper was anti-bayesian. We are supposed to improve upon the theories of past thinkers not slavishly follow them. Is bayesian inference a kind of “induction”, or a way of “falsifying” theories? Who cares? It is the right way to do it, all else is waffle. I only came here because you were linked by Judith Curry. Don’t think I’ll be coming back. I will type this slowly: some theories are falsifiable, others are not. Simple as that. I delineated how you can tell, and how, if falsifiable, a theory will be falsified in fact. I have therefore improved on your thinking of the past. The other issue is likely from the “hard” sciences people – you are telling them that a replicable 6-sigma outlier is not good enough. If that is true – and logically, you are quite correct – then the whole of particle physics is unfalsifiable and most “hard” sciences people would likely be of the opinion that “unfalsifiable = not science”. Therefore, you are suggesting that, eg, particle physics is not science (at least from their point of view, even if not explicitly) – there is quite understandable resistance to any such proposition, most especially where a theory has already shown significant predictive abilities and even more so where it makes counter-intuitive predictions (and counter-intuitive predictions of a theory, like statistics, are the most valuable kind). And lastly, “un-falsified != true” – no matter how many times you show correct predictions (even to the nth decimal place), you can’t prove the theory true (as you stated). So by showing very few theories are logically falsifiable, you have removed any way to conclusively remove even some of the weirdest theories from “science”. Worse, you have shown how anyone can create a theory that is unfalsifiable and then parade around saying “no-one has proved it false yet!”. So all those logical science-y geeks, who mostly pride themselves on their application of logic and science, are now being told that what they thought was falsified isn’t, and they are working on belief. And further that any pleb, by a careful statement of their pet theory, can make it unfalsifiable. Aren’t you even going to laugh at my girl band joke? I of course do not say that particle physics is not a science. But let me turn this around and ask you: what is a science? Be careful answering. It’s also not the case that you cannot prove a theory true. Mathematics is filled with true theories. Physics, not so many (maybe none?). Well, again as I say, this is tough luck. There is also the question of usefulness. What distinguished particle physics from (say) ESP is that the former can make testable, useful, skillful predictions on data never yet seen before, the latter cannot. “Skill” has a technical definition (more another day). And if you notice some of the comments, I did show that lots of statistical models are in fact falsified. Any normal model applied to discrete reality is falsified (every normal model says the probability of any number is 0; we see numbers; the models are falsified). I think its the longing people have for certainty that confuses. Dammit, why should I still say that this theory might be true when it is such a stinking pile? Again, tough luck. Last point (it’s almost dinner): just think how many theories in politics and ethics have been resolved! I am curious, then, if Briggs agrees with Michael Mann when he says â€œProofâ€ is for mathematical theorems and alcoholic beverages, not for science.” I’m not sure if this relates to the falsifiable theme or not, but it seems it might. My guess was Mann was saying you can’t ever prove or disprove any theory, thus absolving him of any responsibility. I think you are right – at least if “falsifiable” means “provable to be false”. But I don’t think most scientists really demand scientific theories to be falsifiable in that sense. And many don’t even try to use that word any more; they are more inclined to use a less binding word like “testable”. A theory might then be considered adequately testable if it can be used to predict that in some repeatable experiment there are outcomes of very low probability. If we see such outcomes we say that the theory fails the test (though it could in principle still be true) and we reject it (ie strongly doubt it) – at least until the frequency of failure events in repeated experiments falls to match the predicted probability. I have done no such thing, and your asserting it surely doesn’t make it so. I have confirmed that in our usual lives, “falsified for all practical purposes” is logically equivalent to “falsified”. But in logic it is impossible that “‘falsified for all practical purposes’ is logically equivalent to ‘falsified'” in lives usual or unusual. This cannot be no matter what; not ever. The only logical equivalent to falsified is falsified. This is not a judgment of engineering or practicality, this is a mathematical, epistemological truth. But in logic it is impossible that â€œâ€˜falsified for all practical purposesâ€™ is logically equivalent to â€˜falsifiedâ€™â€ in lives usual or unusual. This cannot be no matter what; not ever. The only logical equivalent to falsified is falsified. This is not a judgment of engineering or practicality, this is a mathematical, epistemological truth. Thanks, William. I fear that’s a logic fail on your part. You see, I didn’t say “â€œâ€˜falsified for all practical purposes” was “logically equivalent to ‘falsified'”, William. Look, William, you are right. When a pair of dice is thrown a hundred times, and it comes up snake eyes each and every time, we CANNOT say that the statement “the dice are not loaded” has been falsified. But as a practical matter, I note that you would not bet using those dice as if they were unloaded. Which means that you personally, William Briggs, are accepting that those dice are in fact loaded. And that in turn means that whether something is “falsified for all practical purposes” is MORE IMPORTANT than your 100% claims about how it can never, ever be falsified. We pay no attention in the real world to that possibility, and rightly so. Here’s another example. There is a statistical probability that at some given second all of molecules in a glass of water will be moving the same way, and the water will spontaneously jump out of the glass … so clearly, the statement “the water will never spontaneously jump out of the glass” is not true. Now, the statement is not true … but in fact, since the amount of time between predicted water jumps is longer than the age of the universe, I fear that as I said to start with, for human purposes your objection regarding falsification is a difference that makes no difference. Oh, you’re 100% right, there is in fact a difference between “won’t ever happen”, and “only happens once every hundred billion years”. But here in the real world, that kind of difference makes absolutely no difference at all. While there is a real difference between the two statements, there is absolutely no PRACTICAL difference between “won’t ever happen”, and “only happens randomly about once every hundred billion years”. And that was my point. Science is a practical subject, we’re looking for practical guidelines and understandings. If the odds against something happening are a hundred trillion to one, you’re right, that’s not zero odds … but for all practical purposes, we can AND ROUTINELY DO treat them, in science as in other fields, as though they are the same. Thanks, William. I fear thatâ€™s a logic fail on your part. You see, I didnâ€™t say “‘falsified for all practical purposes’ was ‘logically equivalent to ‘falsified'”, William. Actually, brother, this is exactly what you said. Your actual quotation is above for all to see. But I figure you were in such a hurry with this comment, that you forgot what your originally wrote. Two misapprehensions here. Falsified is logically equivalent to falsified in all lives, usual or unusual, as I said. All mathematical and logical truths are truths in lives usual and unusual. These truths are truths even when we don’t wish them to be. Here is one of these truths: A proposition conditioned on some evidence which is only probably false is not false, i.e. not falsified. A simple truth, too. And, I swear, one I would have thought uncontroversial. But that’s the internet for you. And then you say that “we” are interested in “practical purposes…” This is only half true: “we” are also interested in logic. After all, it was this part of “we” who started this topic, and this part is interested in logic and truth. This is true—if we began with the ordinary propositions about six-sided objects, etc. (I have given numerous examples of this in the past and won’t repeat them here). But, given those, I warmly embrace your conclusion. You (like many, oh many) are confusing the difference between the probability of a proposition (given some evidence) and decisions made based on those propositions. They are—of course they are—different. Your ALL CAPITALS doesn’t follow. Whether the decisions and its consequences are more important than inferring the probabilities (based on given evidence) all depends on one’s focus. If your focus is on probability, as it often is, and as mine is, then the decisions one makes conditional on the probability are a matter of complete indifference. Here’s another example. There is a statistical probability that at some given second all of molecules in a glass of water will be moving the same way, and the water will spontaneously jump out of the glass…so clearly, the statement “the water will never spontaneously jump out of the glass” is not true. This example is ill-posed. In order to say anything about any probability, one must explicitly define the evidence/propositions upon which the probability is to be inferred. Your hope is that you and I would agree about these without ever specifying them. Well, we might, but who knows? Now, the statement is not true…but in fact, since the amount of time between predicted water jumps is longer than the age of the universe, I fear that as I said to start with, for human purposes your objection regarding falsification is a difference that makes no difference. And there’s the proof of that. How did you arrive at that calculation? Etcetera, etcetera. However, I have a vague idea, and for the purposes of ending this part of the discussion, let’s say we agree with these (hidden) propositions and that the “age of the universe” bit is okay. I am right, aren’t I. It’s nice to be right. Fills me with glee. I will change my name to Mr Right (the girls will really go for this, boy). Two things. First, where do you think logical and mathematical truths live? The real world? Up with Plato? I’d be interested to hear. Second, a rousing Amen to your “While there is a real difference between the two statements…” There is a real difference, and it is the probability we assign. There is also a practical difference in the decisions one makes conditioned on this probability. What’s the decision? Who’s making it? What are the consequences? Sometimes it makes sense to ignore all that quantum mechanical foofarah, and sometimes she don’t (I’m hoping to make this into a blues lyric). You’re too hasty and assume everybody has the same goals you have. That’s false. And that was my point. Science is a practical subject, we’re looking for practical guidelines and understandings. “Science is a practical subject”. Is it? My challenge to you is the same as to the earlier gentleman: define “science.” Be careful, take your time. And then, when finished, describe for me the practicality of Susskind’s Landscape or Everett’s Many Worlds. If the odds against something happening are a hundred trillion to one, you’re right, that’s not zero odds…but for all practical purposes, we can AND ROUTINELY DO treat them, in science as in other fields, as though they are the same. I am right again! I am on a roll. Anybody want to touch my lucky rabbit’s foot? The material after the ellipsis confuses probability and decision again. On the logical question: Surely a true virgin is also a virgin for all practical purposes, and on the other hand there are non-virgins who really just wouldn’t do for any practical purpose that required a fairly convincing pretend-virgin. Therefore the idea that “virgin for all practical purposes” is logically equivalent to “not virgin” is shown to fail at both ends. Gravity is a little big bigger than in Newton’s law; it increases with speed -kinetic energy- where the maximum is the double gravity in the case of light.